Montgomerie of Camas - AKC Scottish Terriers: All puppies sold! All of our current puppies are sold, and going to great homes. Think you might want on of our puppies from a future litter? 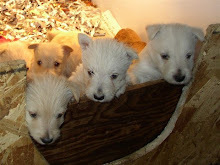 For questions or more info email us at puppies@myscotties.com. You can download a copy of our sales contract here.